Sometimes words can be be funny when you go between languages. I got a kick out of this hair conditioner which promises smooth hair (suave) but says with (con) brillo. 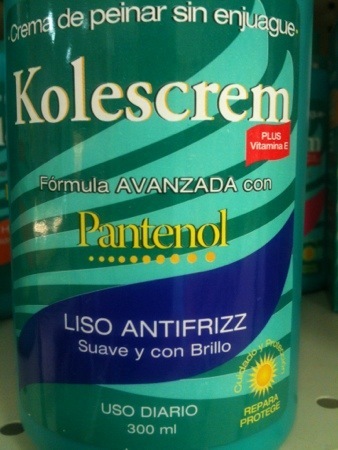 In Spanish brillo means luster/sheen/shine. It is quite befitting as a hair product promise. But the United States Brillo is the brand/product name for a very course, tough steel wool scouring pad to clean baking dishes — the last thing you want your hair associated with.